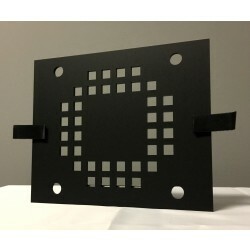 These targets have 36 low-noise density patches and density ranges exceeding 50dB, 100dB and 150dB. 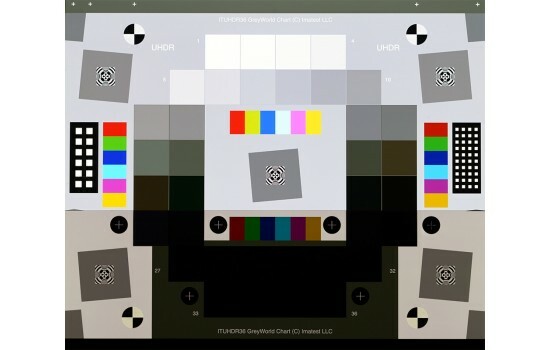 The three options fulfill needs for Low, Wide, and Ultra-High Dynamic Range systems. A nearly circular patch arrangement ensures that vignetting has minimal effect on results. For the Wide and Ultra-High variants, there are regions on the left and right sides of the chart for detecting flare light that can interfere with HDR performance. The charts have an active area of 197x235mm (7.75x9.25 inches) on 203x254mm (8x10 inch) high precision LVT film. Options include an acrylic frame for ease of placement and removal, and the Imatest DarkWorld Mask (see details below). Custom pre-distorted versions are available for fisheye lenses. Contact charts@imatest.com. CSV reference file with actual densities provided with purchase. The Imatest Dynamic Range (ITDR) test charts have three density ranges to suit every need. The charts allow you to measure the tonal response, noise, and dynamic range of various imaging systems with a single image instead of multiple, exposure bracketed images. The targets also contain slanted edges with 4:1 contrast for measuring MTF. The edges have an MTF50 >= 16 cycles/mm, which is about 3 times better than the best inkjet charts. 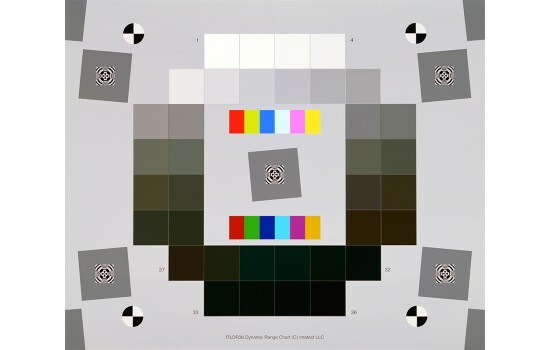 The middle gray background density enables proper exposure with automatic exposure cameras. Dynamic Range test targets with black backgrounds tend to overexpose the brighter patches with auto-exposure cameras. 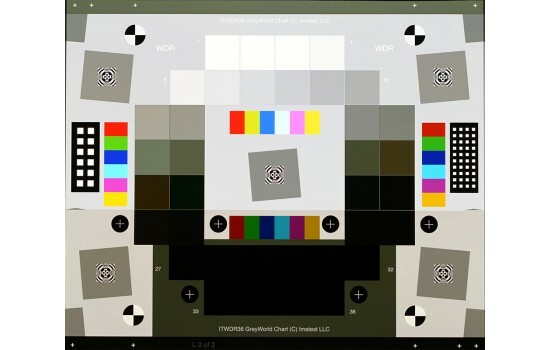 The chart’s active area of 197 x 235mm is a good fit for both the DNP Standard Color Viewer and ITI LED light box. Imatest recommends using the Dynamic Range Targets with a high illuminance light source (between 10,000 and 100,000 Lux) in order to provide sufficient light to test image sensors over their range of sensitivity. These charts are well suited for measuring both camera and sensor dynamic range, which are fundamentally different. Camera DR measurements are affected by flare (stray) light in the lens. They represent real-world performance. Sensor measurements are based on the patch pixel and noise levels in unprocessed RAW images, using the technique described in Multicharts / Multitest / eSFR ISO Noise, which fits data to an equation based on dark and photon noise. 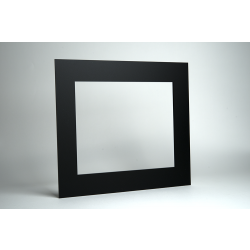 The optional acrylic frame for these targets will allow them to be easily placed and removed from the ITI lightbox or DNP Viewer. ITWDR36 - Wide Dynamic Range (100dB) for most high-quality cameras, DSLRs, larger mirrorless cameras (Micro 3/4, APS-C, etc.) and any high-quality camera that is not specifically "HDR". ITUHDR36 - Ultra-High Dynamic Range (150dB) is designed specifically for HDR cameras. The optional DarkWorld mask pairs with the the Imatest 36 patch Dynamic Range Test Charts and Frame to block additional light from entering the camera. The additional light included in the non-measurement areas of the standard “GrayWorld” targets (LDR/WDR/UHDR) is intended to allow the camera under test to get a good automatic exposure on a scene that somewhat resembles a real-world scene where flare light is present inside the lens. 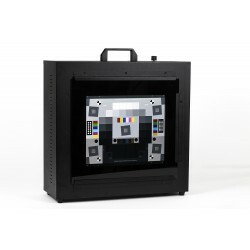 The IEC 62676-5 standard defines a target that is compliant with the ITUHDR36 + DarkWorld mask, when illuminated by a 100,000 lux ITI LED lightbox. After applying the DarkWorld mask, only 60% of each measurement patch and the registration marks remain visible. This darkened scene can be used to emulate a nighttime environment where maximum dynamic range will be more attainable. This target will be more difficult to expose, locking the exposure and seeing how well the steps can be recognized with and without the mask can be used to determine how much flare light is reducing your camera system’s dynamic range. This mask is also compatible with older DR & HDR versions of the 36-patch dynamic range target.